Christmas might be the most wonderful time of year, but it’s also when thieves and vandals are at their worst. With so many gifts on display and homeowners letting down their guard, it’s easy for them to strike and ruin the holidays. Although this seems as if it isn’t in the festive spirit, burglars don’t care. Instead, they take what they can and leave before they attract unwanted attention. Christmas is the best time of year to set up a home security system to ensure there are zero nasty surprises. With the right CCTV camera and alarm system, you should feel safe in the knowledge that your presents are safe and secure. Here are five ways to tighten your property’s security this Christmas. Burglars aren’t as stupid as they seem. The majority of them never take undue chances even at Christmas. They do their homework and only target the properties they believe offer the best risk to reward ratio. As a result, they’ll often park nearby and watch as people come in and out of the house, noting their habits. While this is creepy to imagine, it’s also important to get into the mind of a thief. That way, you can set up your CCTV camera to be as effective as possible. Pointing it towards the street allows homeowners to spot any suspicious activity and contact the police. Alternatively, it’s wise to ensure the back of the property is monitored too as burglars will try to enter through the back door. Christmas means going to parties and peoples’ houses and having a good time. While you’re doing this, a burglar might try and break in and steal your valuables. Trusting in an alarm system is a good move, but you can take extra precautions too. One of them is to use lighting to make it seem as if someone is home. Leaving the spotlights on in the living room might encourage them to go elsewhere. The exterior lights are excellent ones to leave on also as they illuminate the dark spots. That means there is less shade for thieves to lurk. But, remember that you don’t want to create too much glare or else it will distort the camera images. With that in mind, try not to brighten up the area around the CCTV cameras. The courier is going to arrive while you’re at work so you want to leave him a note. The problem with this is anybody can see it and deduce that you’re not home. Not only that, but they know a valuable package is going to arrive and it’s location. All a thief needs to do is to wait for it to be delivered and take it from its hiding place. Rather than leaving notes, you should prearrange delivery instructions with the courier. Either write down a description in the box online or call them and do it over the phone. Regardless, never publicize the fact something expensive is on the property when you’re not around. Some decorations are too in your face to hide, such as the lights on the exterior of the house and the reef on the front door. The outside ones aren’t the problem; it’s the inside stuff which is appealing to a thief. As soon as they see it, they know there is a good bounty of valuables in the house. Plus, they can grab it without entering the property. Because homeowners put the tree and the gifts near to the window, a burglar can smash the glass and run off in a matter of seconds. Therefore, it’s better to hide them from plain view. Put them in a corner where it’s tricky to spot them from the street. With the decorations outside, it can be tough to find an outlet. To get creative, some people like to run them through small cracks in open windows. However, this means the security of your home is compromised. Anyone who knows about the open window can prize it and get in without any hassle. Burglars look for these types of openings at Christmas. An excellent solution is to hire an electrician. He/she can install an exterior outlet so there’s no reason to leave windows or doors ajar. 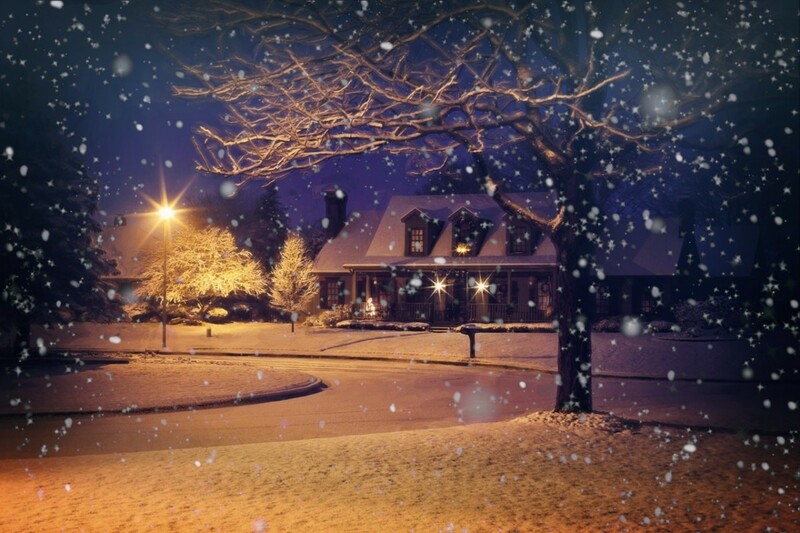 At 360, we understand the need to keep your home safe during the holidays. That’s we offer a range of home security options to give you peace of mind. Contact us now to discuss the best options and how you can stay safe this Christmas.